But Mary’s life involved more than just one moment of decision. Her life must have been a constant process of discerning, of adapting, of deciding how to proceed, of listening for the voice of God in confusing moments. If you read the Gospels with an eye for what Mary experienced, it’s clear that even once she’d embraced her vocation, the periods of uncertainty kept on coming. 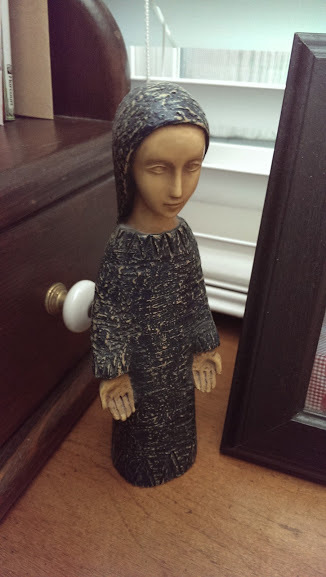 Time and again, Mary faces situations where there are more questions than answers. She’s about to give birth, and there is no bed available in town. Her teenage son is lost for days. As an adult, her son gathers powerful enemies at every turn. He is arrested and beaten. He lies dead in a tomb. Throughout Mary’s life, she faced many challenges that she could not have predicted when she signed on to the job. She is a good reminder that identifying your vocation is huge, but the work doesn’t end there. In the course of living our vocations, we constantly find ourselves doing mini-discernments in situations when there is no obvious answer on how to proceed.